Austin Peay shot 887 (289-290-308) for the week but were simply undone by the wind in Tuesday’s final round. 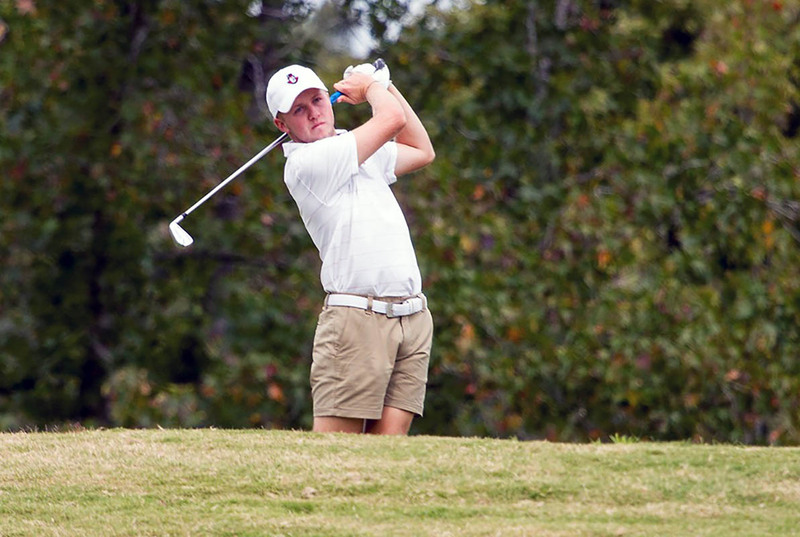 Freshman Garrett Whitfield and sophomore Alex Vegh did the best job of managing the difficult conditions for Austin Peay, firing matching final-round 75s. In his first appearance in the lineup this spring, Whitfield placed 20th with a 220 (71-74-75), leading the squad with 38 pars, while Vegh tied for 25th (71-75-75—221) and averaged 2.92 strokes per par-3 attempt, the best mark for a Gov. Freshman Chase Korte equaled Vegh with a team-high 10 birdies for the tournament, placing 30th at 222 (73-71-78), while sophomore Austin Lancaster was two shots behind him at 224 (74-70-80) thanks largely to his even-par efforts on par-3 holes, a trend for the Govs over the tournament; Austin Peay averaged 3.07/hole on par-3 and 4.88/hole on par-5 (minus-three overall), but struggled to a 4.27 average on par-4 attempts. Sophomore Michael Busse (74-76-81—231; t-56th) rounded out the lineup for Austin Peay, while freshman Jay Fox (76-76-81—233; t-59th) competed as an individual. The Govs will wrap up the regular season schedule next week in Spartanburg, South Carolina for the Coca-Cola Wofford Invitational.